Per Product Shipping is a premium extension that allows you to define different shipping costs for products, based on customer location. These shipping costs can be added to other shipping methods, or used as a standalone shipping method. Download the extension from your WooCommerce dashboard. Multiple Shipping Methods: If enabled, rates can be applied in addition to your other shipping methods. For example: If your store offered a bulky product that you wanted to set up with extra shipping fees, you could create a fee to be added to that specific product. If you had multiple items in your cart, two kinds of shipping would be represented in one cost — a) your default shipping costs for the other items in the cart, and b) the shipping cost of the bulky item. Standalone Method: In this scenario the ‘per-product shipping’ is the default shipping method. In this case, all product costs are added together to form a single rate. Go to WooCommerce > Products and select a product on which to enable per-product shipping. 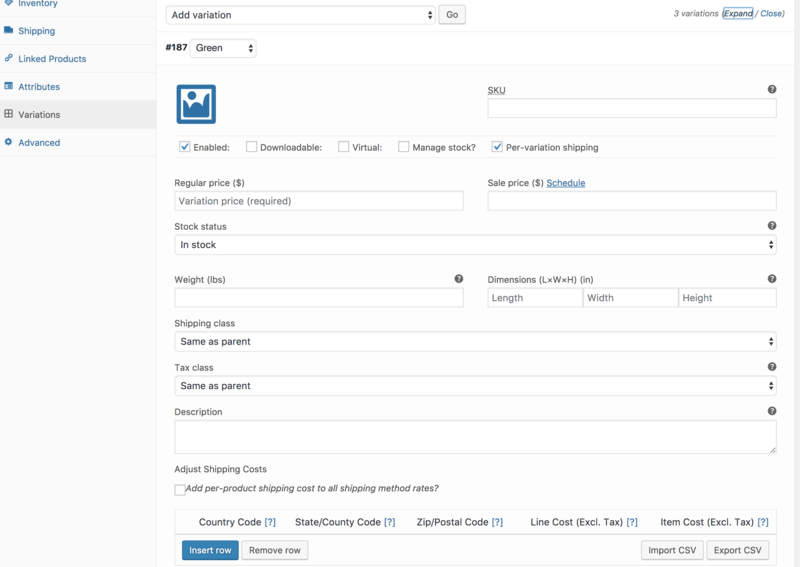 Define shipping costs for products and variations as explained in the next sections. Choose a method: Multiple Shipping or Standalone. If you choose to select the “Add per-product shipping cost to all shipping method rates?” option, the per product shipping cost you set will be added on top of any additional shipping methods (excluding free shipping) you have activated. You may add as many rows as you need. Only one row will match the customer location, starting from top to bottom. 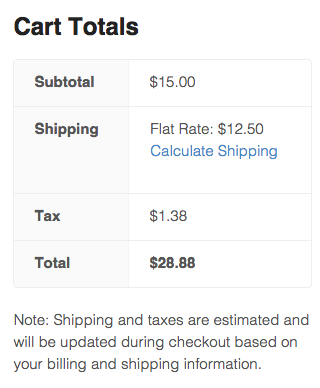 In the following example, Flat Rate Shipping was set at $7.50 and the Per Product Shipping was set to $5 (per the screenshot settings above). For more information on how to import CSVs, see Importing rates via CSV. This is useful if importing similar rates for all products. 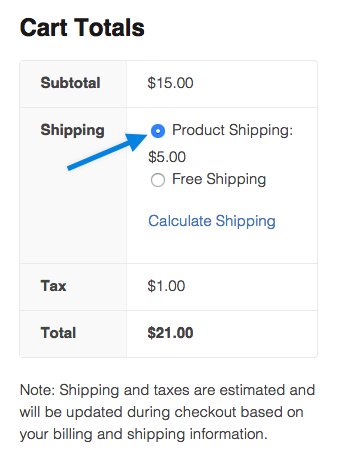 After doing that, the same per product shipping rule table will appear. Note: Variation rates override product rates. Per-product shipping can be used as a standalone method whereby all product costs are added together to offer a single rate. To enable, go to: WooCommerce > Settings > Shipping > Per-product. Standalone method – Enable this to enable per-product shipping as a separate shipping method. Method Title – When standalone, this is the name of this shipping method shown to the customer. Tax Status – Whether or not taxes should be added to this method. Default product cost – When products don’t have rates setup, they will inherit this cost. Handing fee (per product) – Either fixed or percentage, this fee is added to each and every product in the cart. Handing fee (per order) – Either fixed or percentage, this fee is applied once to the cart as a whole. Method availability – Which countries are offered this standalone shipping method. Note: Before uploading, please edit your export file to change the product ID column to be the new product’s ID. Note: Without these columns, the import will fail.